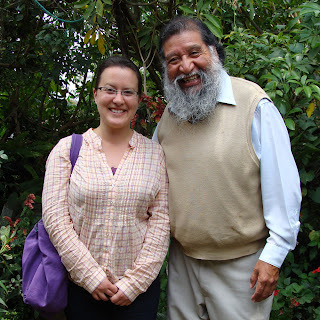 While I was in Guatemala last week, I was fortunate to be able to connect with Francisco Zuñiga, a master jade miner and jewelry maker. I discovered Don Francisco through As Green as it Gets, a group working to support small scale artisans and sustainable agriculture in Guatemala. 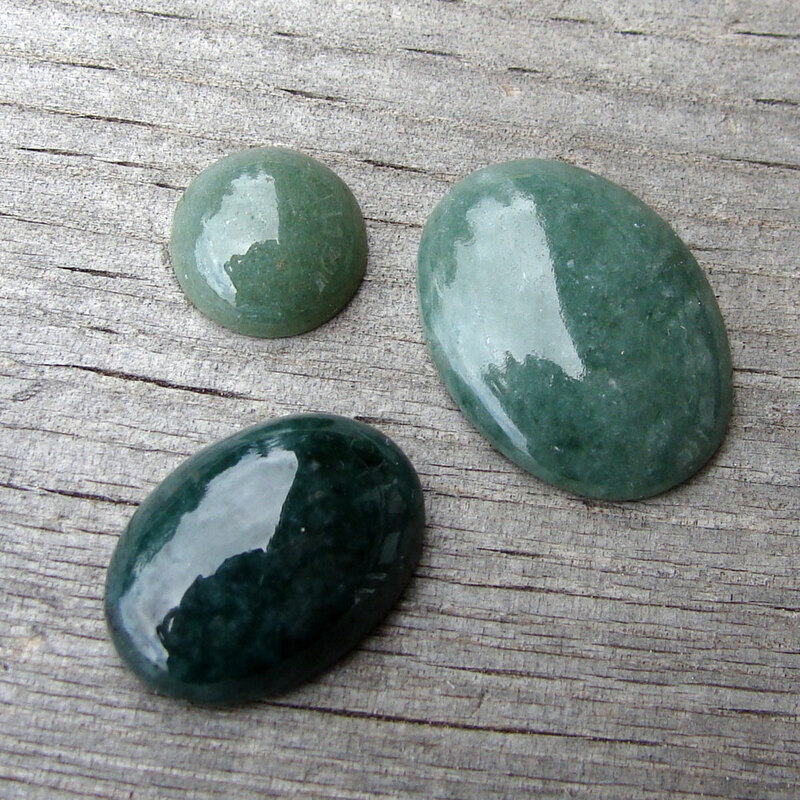 I spent a half-day at Francisco's house learning all about Guatemalan jade and learning how to cut cabochons (finally!). Don Francisco has 40 years experience working with jade. His knowledge on the subject is encyclopedic. He treks out to the mountains and mines the stuff by hand, then cuts and polishes it himself. 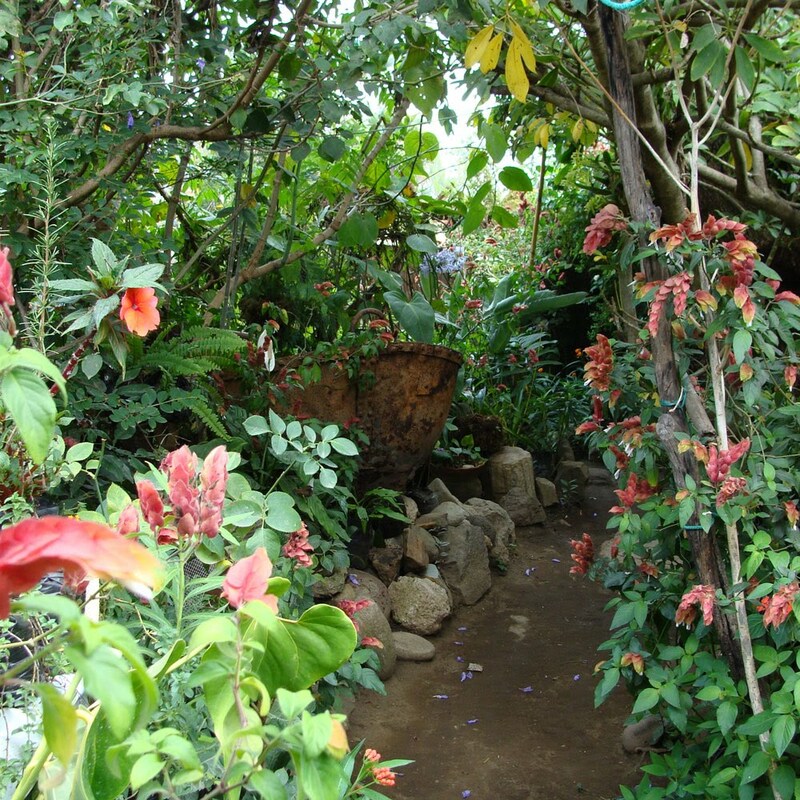 His tiny but idyllic front yard is a mini-jungle where gorgeous tropical flowers cascade from garden beds crafted from small boulders of unprocessed jade. The visit/lesson was a definite high point of my trip - spending time in a typical family home/business with Francisco and his lovely wife was way beyond what many tourists experience when they travel to a foreign country, and not something I will ever forget. Of course I could not leave empty-handed - in addition to the cabochon that I cut myself, Francisco was kind enough to supply me with several incredible specimens of jade, including the extremely rare 'sandia' variety. It was really exciting for me to be able to buy these stones directly from the person who found the rocks and cut the stones - I'd say these are the fairest of all my fair trade stones! Oh yeah, and he had one of the cutest dogs ever. 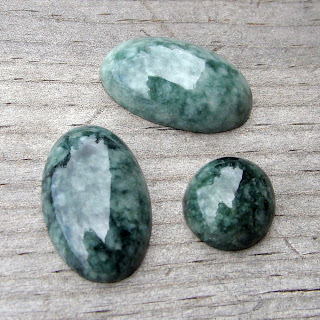 There are two types of jade - nephrite and jadeite. 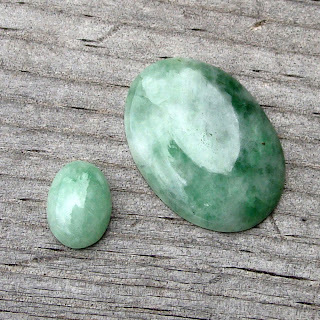 The type of jade found in Guatemala is jadeite, a precious stone sacred to the Mayan people. 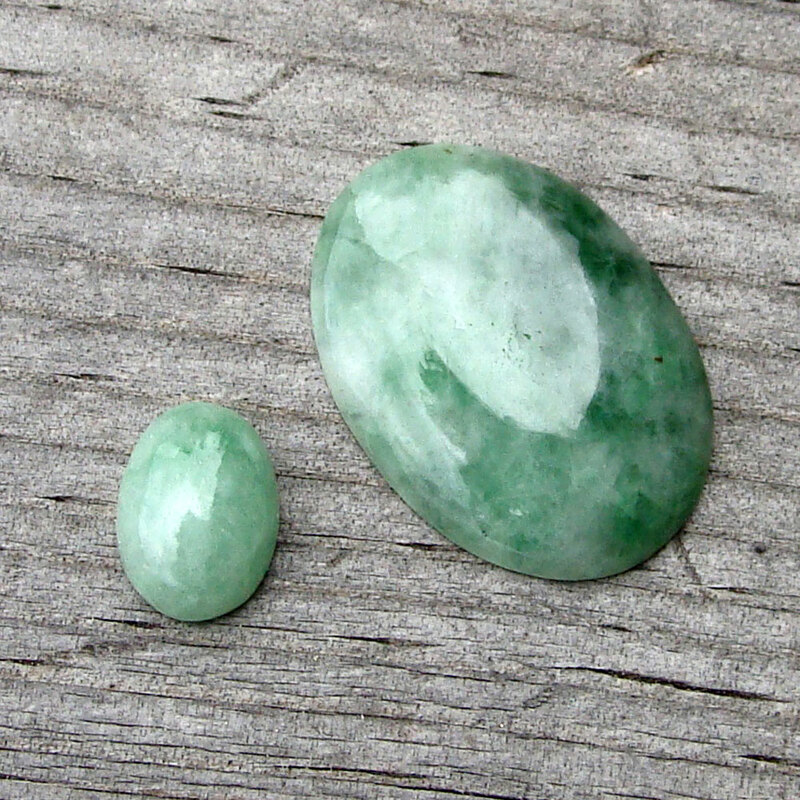 Jadeite is harder and denser than nephrite; it shines well and does not scratch easily. Jade has played an important role for many cultures; its uses throughout history have included personal adornment, offerings to the gods, protection from evil, and even medicinal purposes. 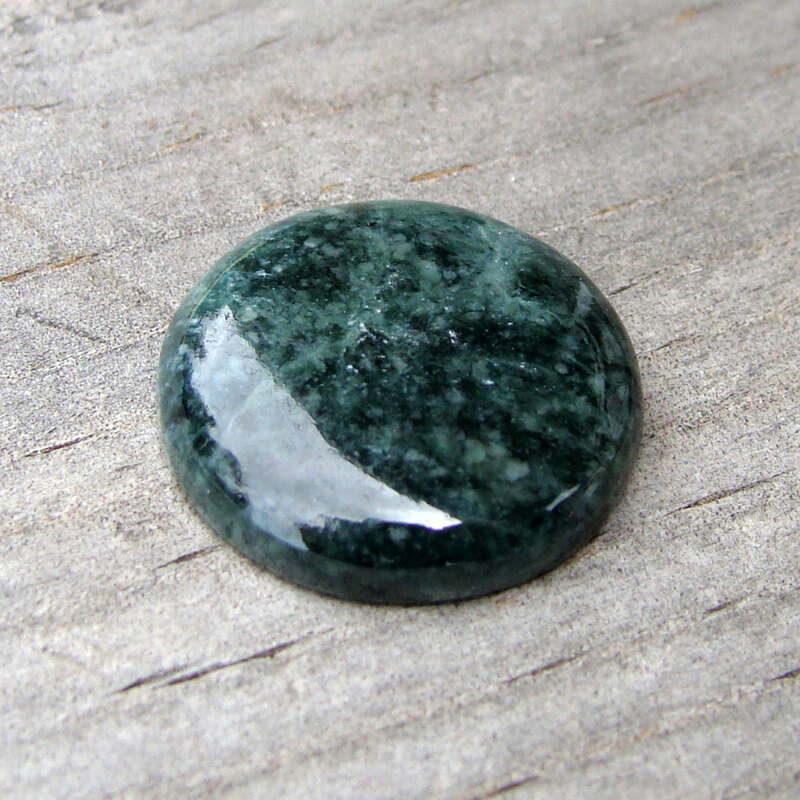 I can't wait to get started working with some of these incredible stones. All but the first one are available for custom orders, so email me if you're interested. This is the one I cut myself! These (above) are the 'sandia' variety (that's Spanish for watermelon) that I mentioned earlier. In 40 years of mining jade, Francisco has only discovered this variety once. It is extremely rare and precious, and I felt honored that he was willing to share some with me! 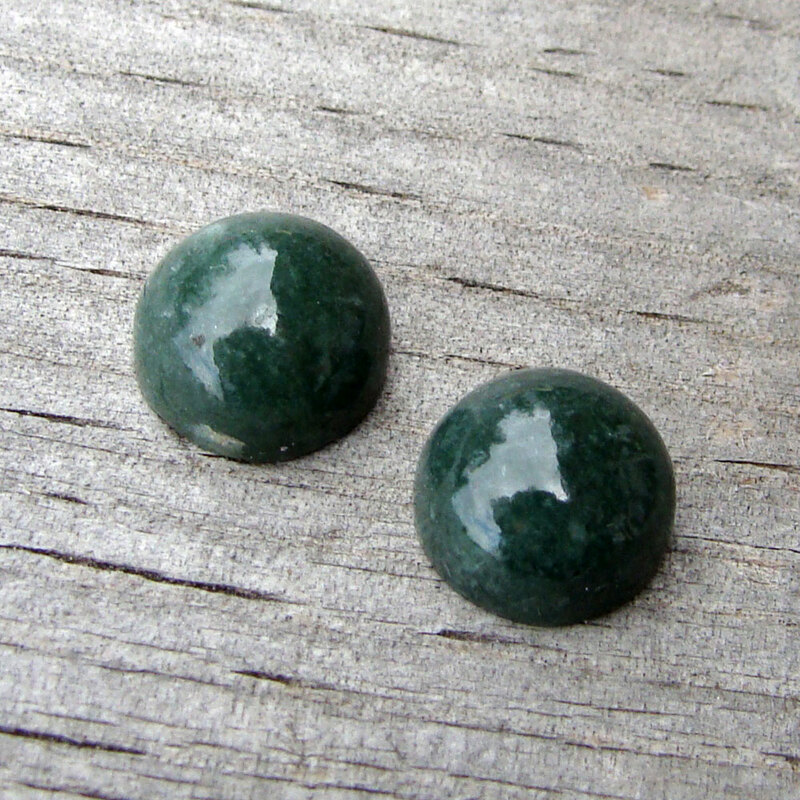 A cute little pair of 9.5mm rounds - these would make great earrings, or I could use them for two rings. oh! 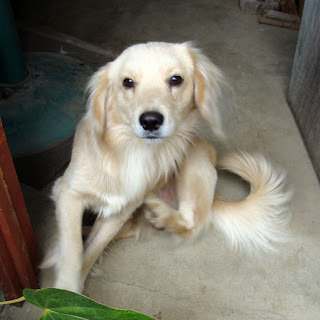 his puppy dog reminds me so much of my good friend's (dearly departed) doggie, elliott. i loved him so much; he was the sweetest cutie-face that ever lived, i swear. i love that he has a guatemalan doppelganger! Oh my goodness. How beautiful! You are very fortunate. gorgeous stones.